Since our early, humble beginnings in May 2006, we had always focused on the four major real estate asset classes of hotels, office, retail and multifamily. While technically hotels is the smallest of all these asset classes, we always put it first because it has a special place in our minds, interests and professional background. 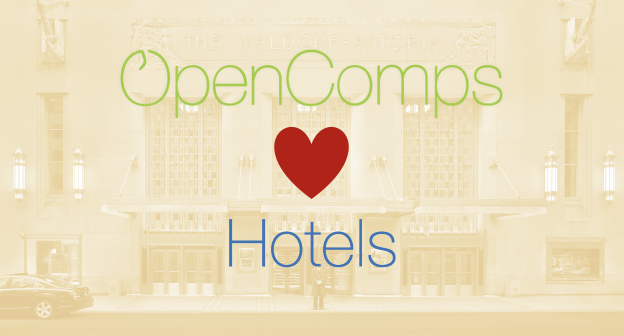 Today, we are furthering our interest in the hotel sector even more: by making OpenComps exclusively focused on it. It is sad to say good bye to the office, retail and multifamily coverage. But we had to. Frankly, we just weren’t getting traction in those sectors. Over the past three years in particular, we spent enormous amount of time focusing and researching these asset classes, but our subscription audience in those sectors just wasn’t keeping up with the subscription support we were and are receiving in the hotel space. So, following the sage business advice, we are focusing on what we are doing best (as many of you had told us). We are hoping that by doing less, we can do better. We have owned the hotel space since 2006 and we want to own it even more. We truly believe that our records of hotel transactions are best in the industry and, hopefully, with the renewed focus and dedication, you can join us in ensuring this. OpenComps has never focused on being the biggest company in the real estate analytics world. We have always been focused on making the best product in that sector and bringing the cost of research down. If you are in the hotel space, you can help us grow and fulfill this mission, by supporting us and not the much larger and much more expensive competitive services. We are a small but passionate team. Your support via the paid subscription tiers of the service is extremely important to us. We thank all the users and organizations that have supported us in our journey so far. We would greatly appreciate your continued as well as new support going forward. This entry was posted in General and tagged hotel on February 22, 2016 by Svetlin.